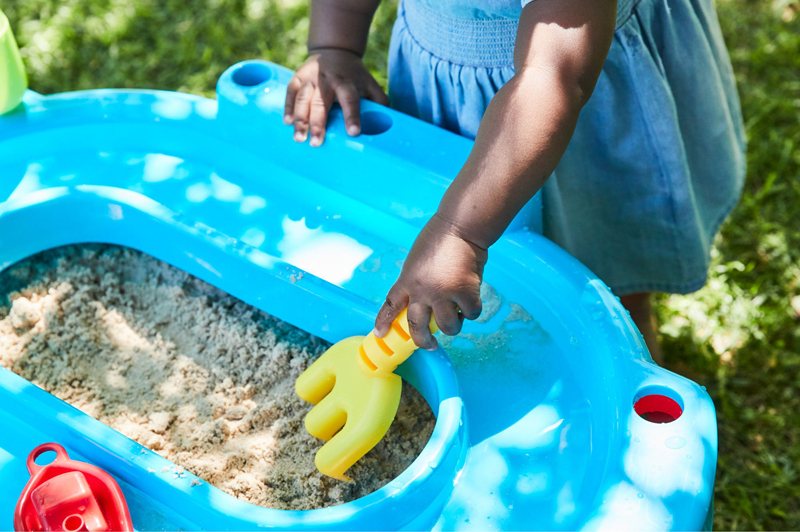 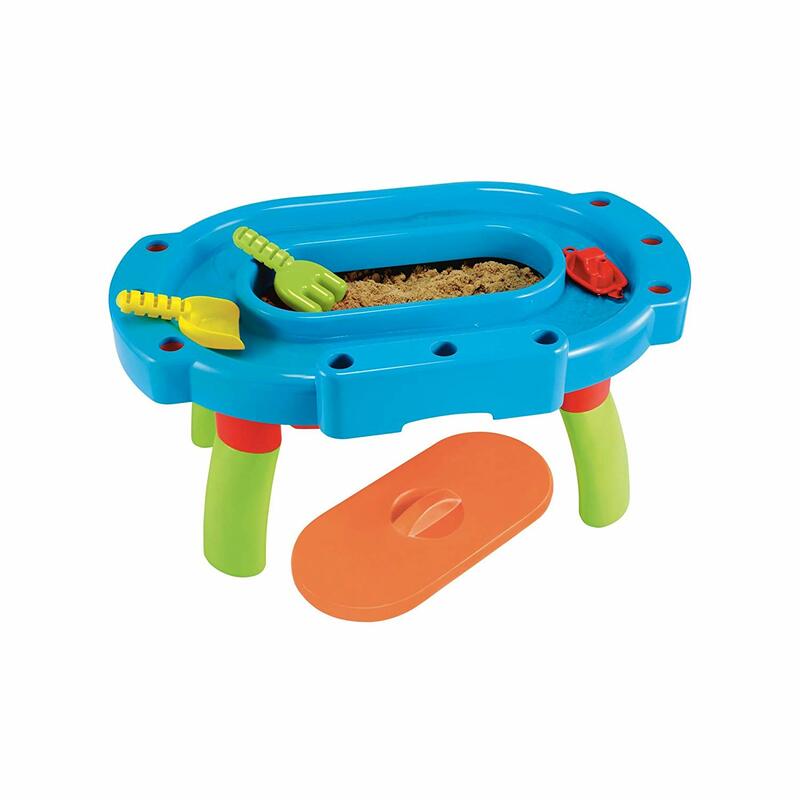 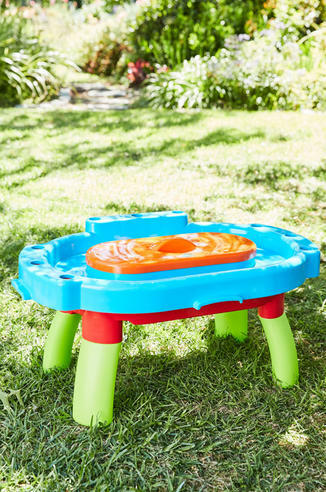 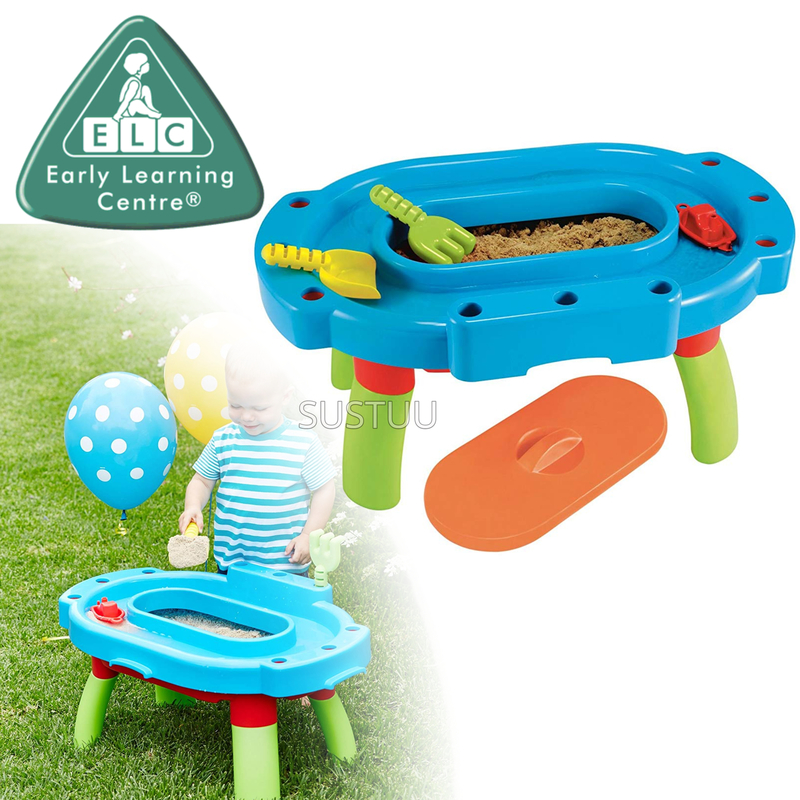 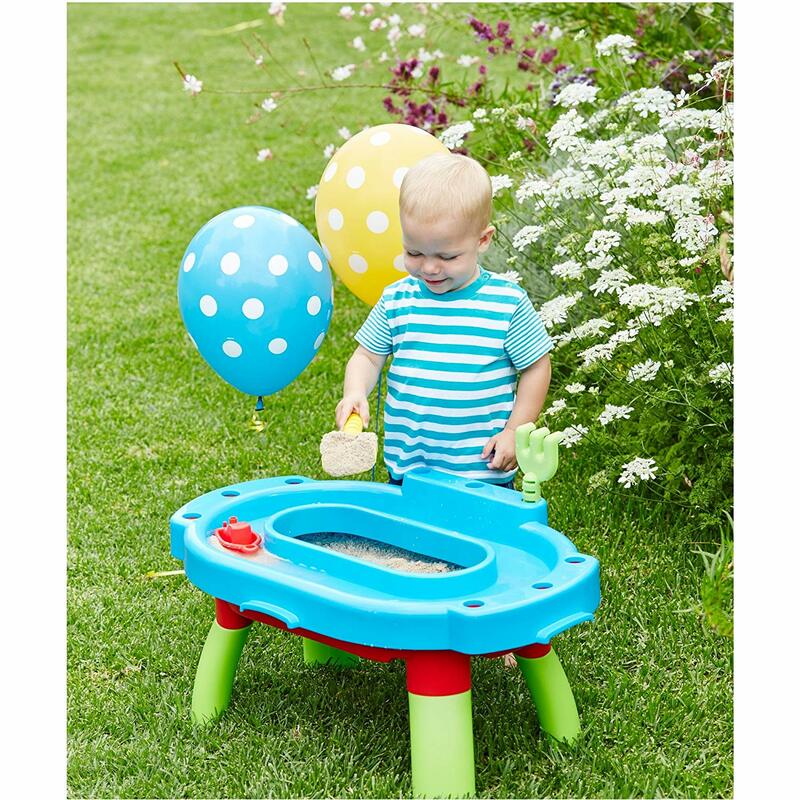 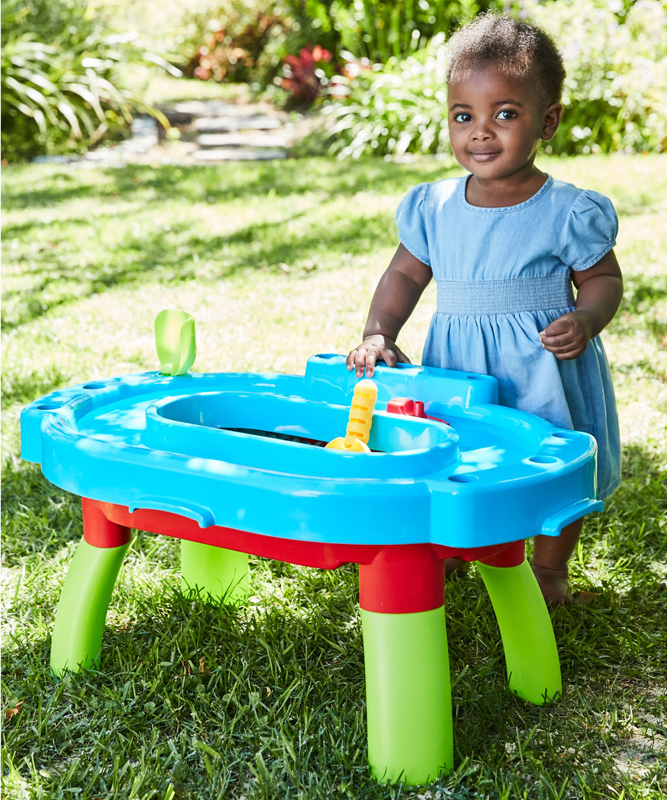 Just the right size for your little explorers and adventurers, this sturdy sand and water table can be either used on the floor or raised up on its legs. Cleverly designed with a water run around the outside of the sand pit for lots of splashing about, sculpting and pouring fun. 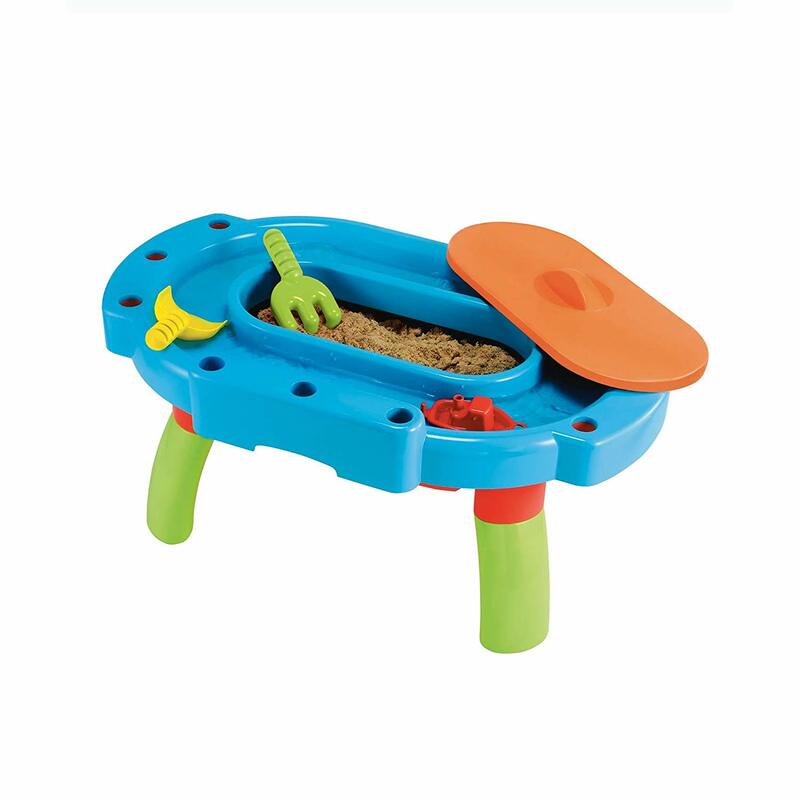 Included is a rake, scoop and boat to play with, plus a lid to keep the pit covered between playtimes.